DNA sequencing is an important concept although it can be a confusing one. For most of the public, understanding why DNA is important is only one step in learning about DNA and how it affects our lives. To fully get a sense of the relevance of DNA to each of us, however, it helps to know how sequencing works and why it is considered so important. What Exactly is DNA Sequencing? The very basic unit of the human genome is a single DNA nucleotide. This nucleotide is extremely small and is made up of minuscule atoms, which creates a challenge for even an advanced microscope to be used for detection. Researchers still, however, need to be able to determine the sequence of bases in DNA that make up the human genome. As such, DNA sequencing has been developed but the process itself is a seemingly complex one. The very first methods used for DNA sequencing were created in the 1970s. During this decade, researchers were only able to sequence a small number of base pairs, which was a far cry from the number needed to sequence just a single gene and an even more daunting and unlikely task to sequence an entire human genome. By 1990, things had improved somewhat but the number of laboratories able to sequence a hundred thousand bases was still few and far between. Not only that, but the cost of sequencing itself was extremely high and impractical. Fortunately, there have been vast improvements since then, particularly in terms of technological advancement. Better still, automation has made the process much faster and a great deal more practical. Now, individual genes are sequenced on a regular basis and can be done quickly and affordably for laboratories. In fact, some laboratories are sequencing more than a hundred million bases in a given year. How is DNA Sequencing Performed? DNA sequencing involves the process of figuring out the precise order of the four bases found in one piece of DNA. What this means is that the DNA is really just a template that is used to create a series of fragments. The fragments differ in length by one base and they are separated by size before the bases are identified, which then effectively recreates the original DNA sequence. Each person has twenty-three pairs of chromosomes - one copy of the human genome. Because technology has limitations, we are limited in how many bases can be read at one time. Therefore, we can't just read each base from one end of a chromosome to the other. To make it feasible, the chromosome is cut down into smaller fragments. DNA sequencing is important to apply to the human genome. It allows scientists to sequence genes and genomes. Since there is a limit to how many bases can be sequenced in one experiment, larger DNA molecules - as mentioned - have to be 'broken' into smaller fragments before they can be sequenced and reassembled. To ensure that the sequencing is accurate, researchers also perform the sequencing several times. Clearly, finding just one single gene amongst the seemingly endless strands of DNA that constitute the human genome needs some very powerful equipment! With continued research, it is likely that better tools will be developed to make DNA sequencing much more rapid as well as cheaper and more practical for researchers to complete. In doing so, we will have a better understanding of the base sequences that can tell us important genetic information in one specific segment of DNA. 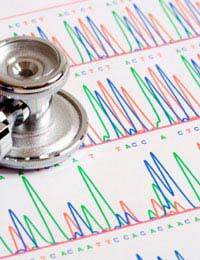 Once genes are identified and analysed from sequence information, scientists can look for mutations that cause disease, thereby providing valuable medical information. why is this sooo long and its hard to understand what this is talking about. exscuse me my name is mariah and i need my answer for i tell on all of yall. Am planning to work on a project involving quantification of the Deformed Wing Virus(RNA virus) load in bees. After successfully doing an RNA extraction,cDNA synthesis,RT-PCR using the specific primerto detectand run the gelis sequencing a mandatory step? Gald you found it useful.